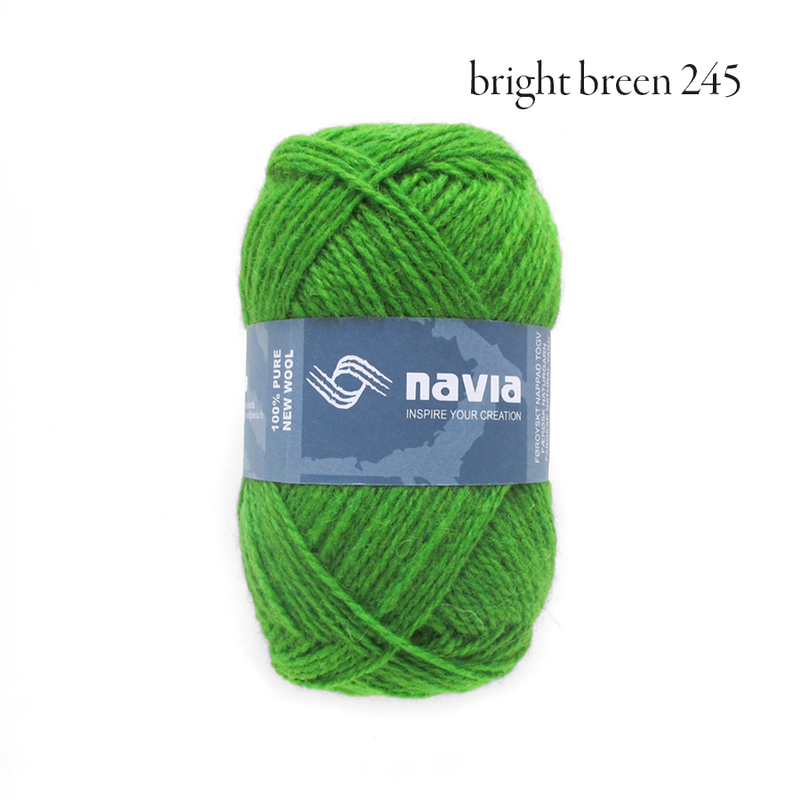 We have a soft spot in our hearts for our snuggly Scout yarn. The entire Kelbourne Woolens team can’t get enough of its heathered, saturated colors, and versatility. 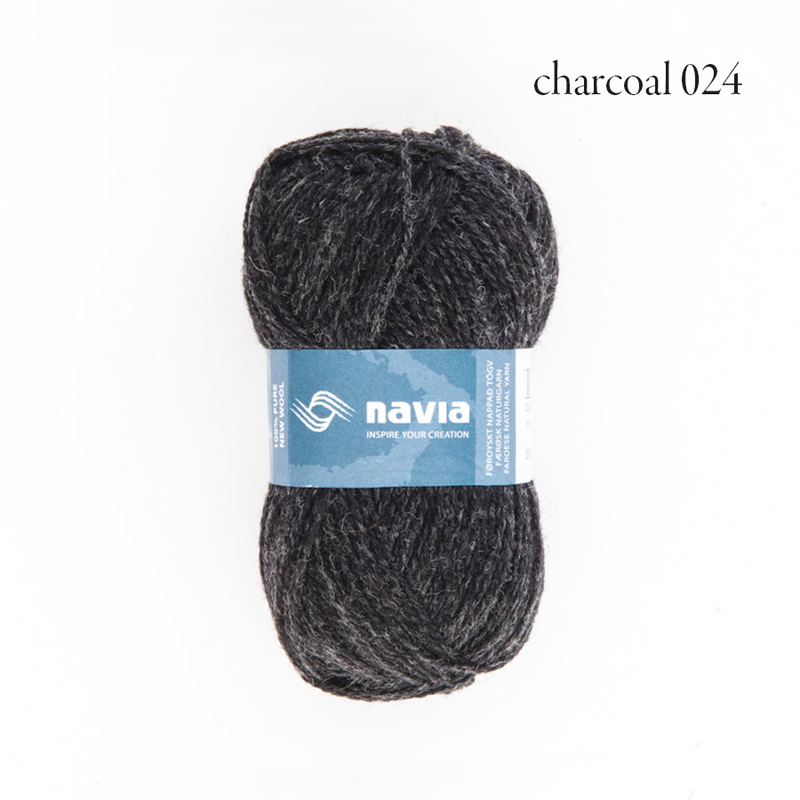 It’s one of those yarns that just works for most textures, including our favorite - cables! Hayley Geary’s Bynx Hat, made in Scout’s Moss Heather, shot to the top of Ravelry’s Hot Right Now list this week. It sports simple, but interesting cables and a ribbed brim. It’s a handsome slouch hat that we’re all eager to cast on. The best news is this sweet hat is available for free on Ravelry! Download her hat and visit your local yarn store to pick up a skein of Scout today. Find a list of our stockists here and see all the colors of Scout here, including our five new shades. 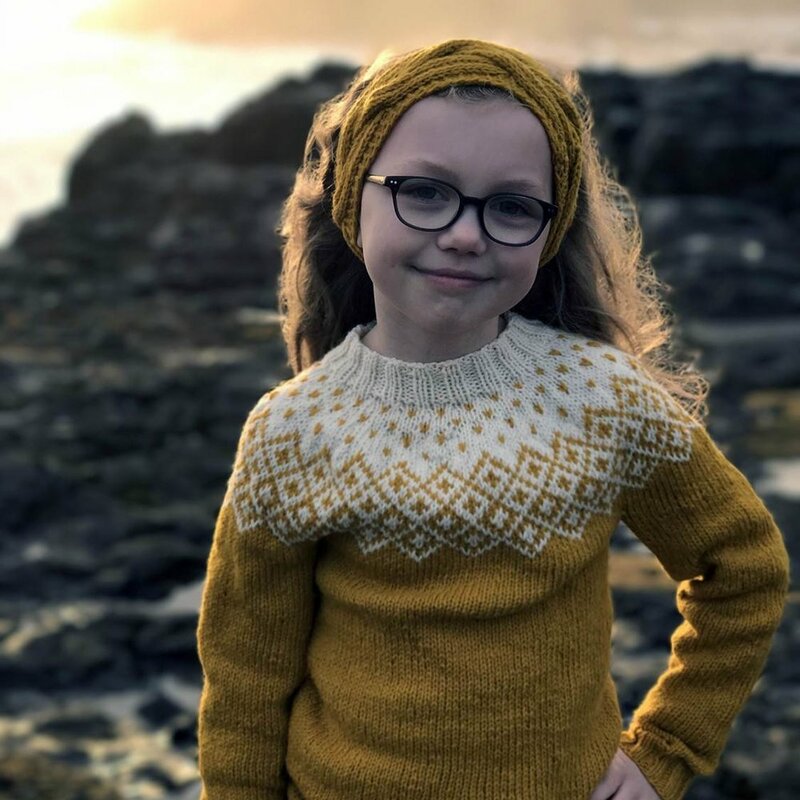 The Winter 2018 Knitty is live, and in it is a stunning wrap, Grayson, by our dear friend Leah McGlone! Leah was an intern for us waaaay back in 2012, and after graduating from Philadelphia University where she studied textiles, she worked for us as an all around designer/marketer/copy-writer/general do-er. She is now a program manager at Witty Gritty, a Philadelphia-based marketing company, and has recently begun designing knits again! 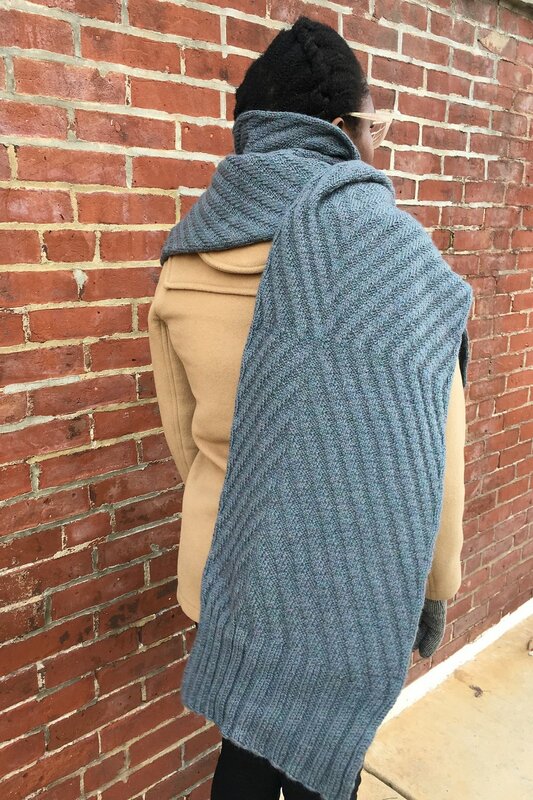 I have been really into exploring knit/purl textures lately, and Greyson is such a beautiful example of this simple-yet-effective patterning method. 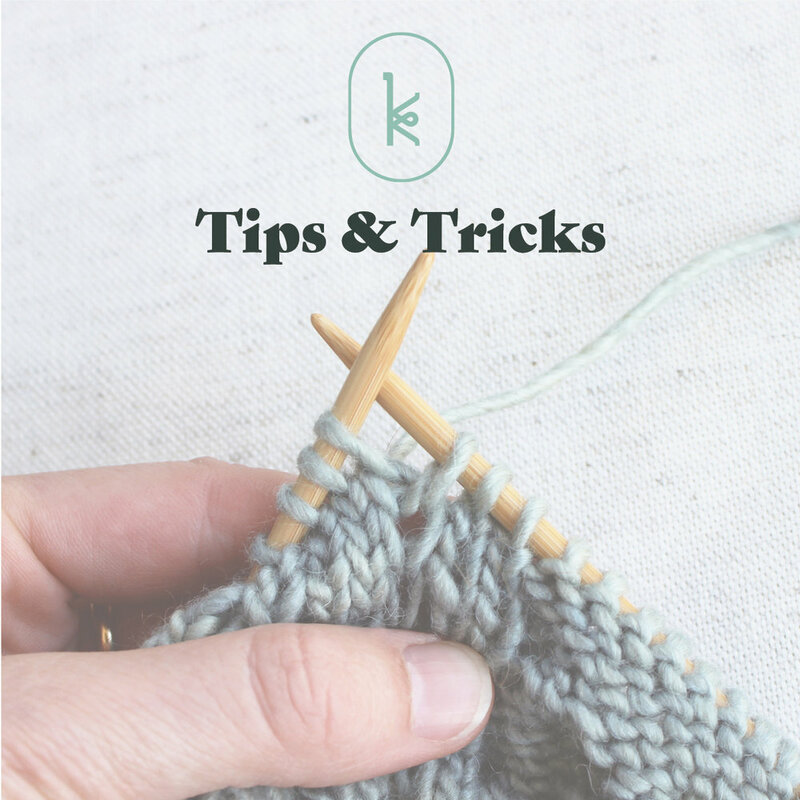 The end result is my idea of a perfect scarf, as the ample size is just right for wrapping and staying cosy, and the stitch pattern is unique enough to keep you interested as you knit but not so over the top to make for an impractical accessory. 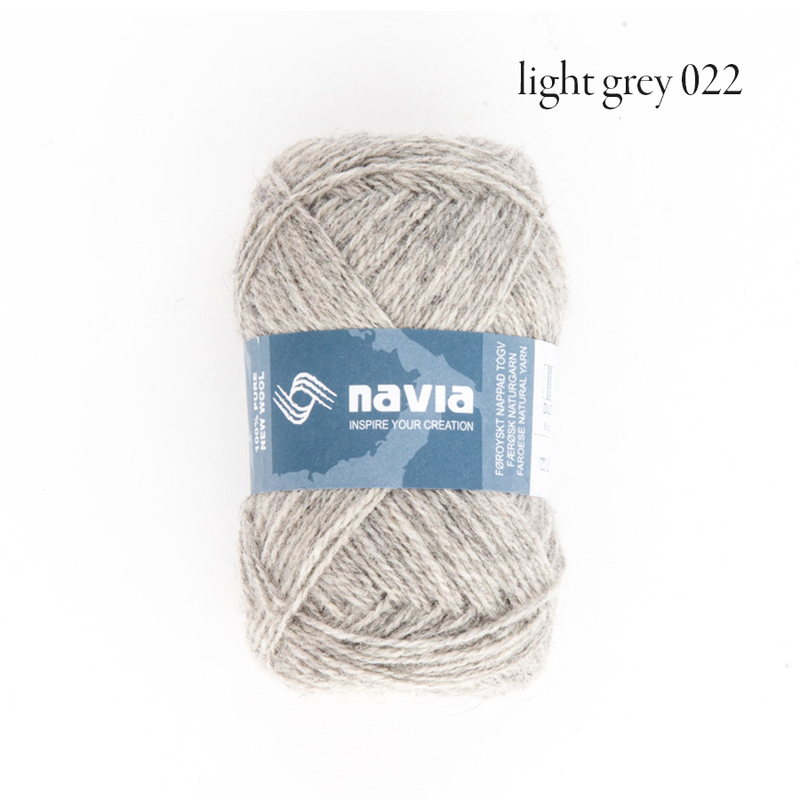 Greyson is designed using two Kelbourne Woolens yarns, Scout and Andorra. The Scout version is designed for ample length, while the Andorra version is a little shorter and wider - it all depends on what you’re looking for in a scarf! 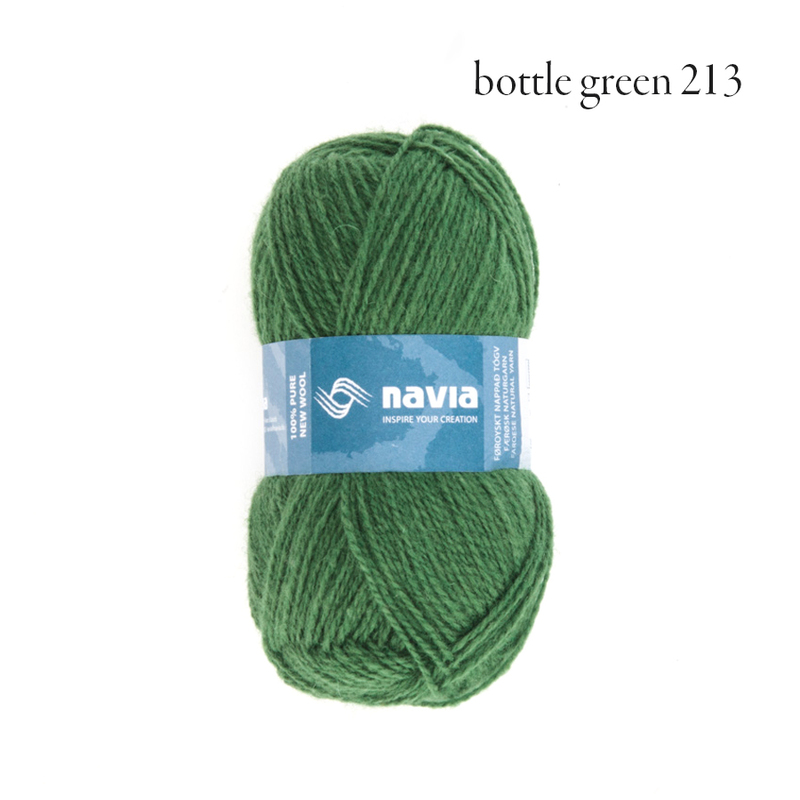 Yarn: Kelbourne Woolens Andorra, Kelly Green, 4 skeins. Gauge: 28 sts/32 rows = 4 inches/10 cm in Stockinette Stitch, after blocking. Needles: US 5 (3.75 mm). Size: 65” (165 cm) length, 14” (35.5 cm) width. Yarn: Kelbourne Woolens Scout, Blue Heather, 4 skeins. Gauge: 24 sts/28 rows = 4 inches/10 cm in Stockinette Stitch, after blocking. 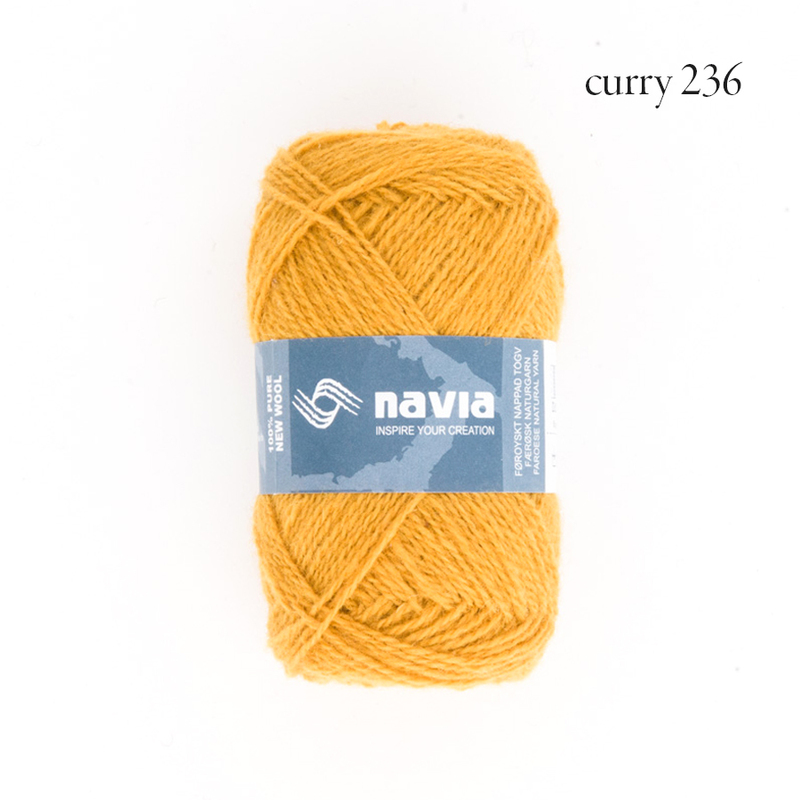 Needles: US 6 (4 mm). 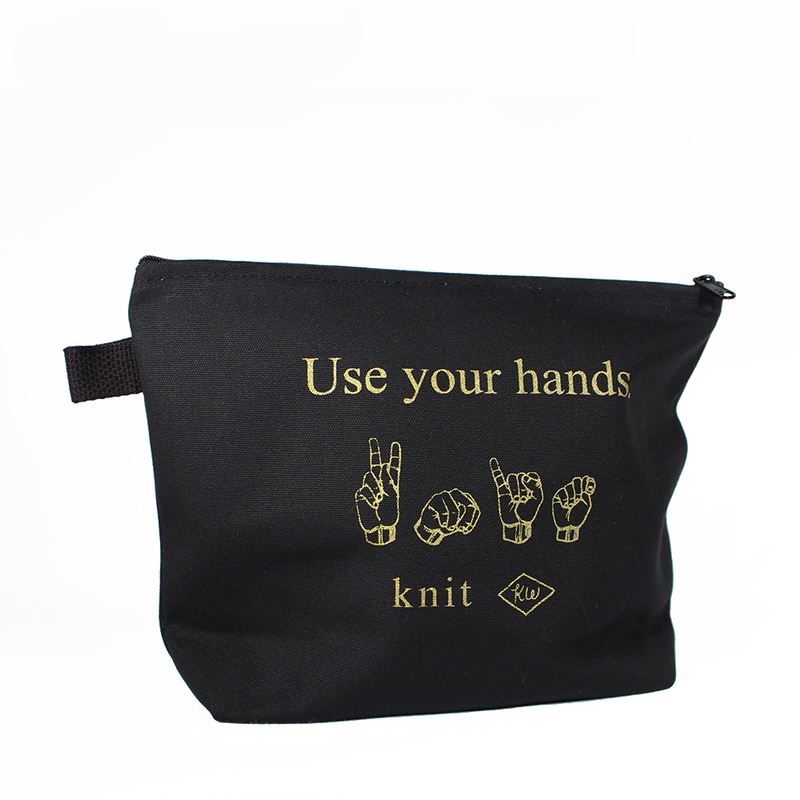 Size: 81” (205.74 cm) length, 12’ (30.5 cm) width. 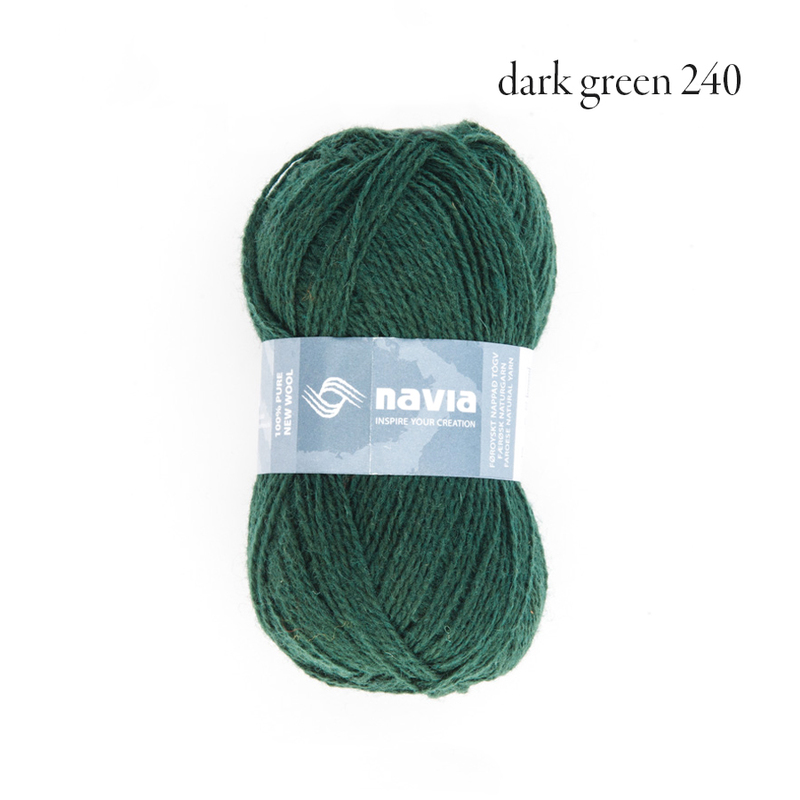 Last night while relaxing with a cup of Sleepytime tea and some Instagram therapy, I happened upon the perfect Christmas-y knit to add to my holiday knitting basket—which I definitely do not have time for, but will absolutely cast on anyways! Designer Randi Hjelm Debes of Faroe Knit, designed this simple and adorable stocking cap using Navia Duo in classic red and white. The pattern is designed for 1-2 year (baby/toddler), 4-5 year (child small), 7-8 year (child medium), and 10-12 year (child large), and adult small. 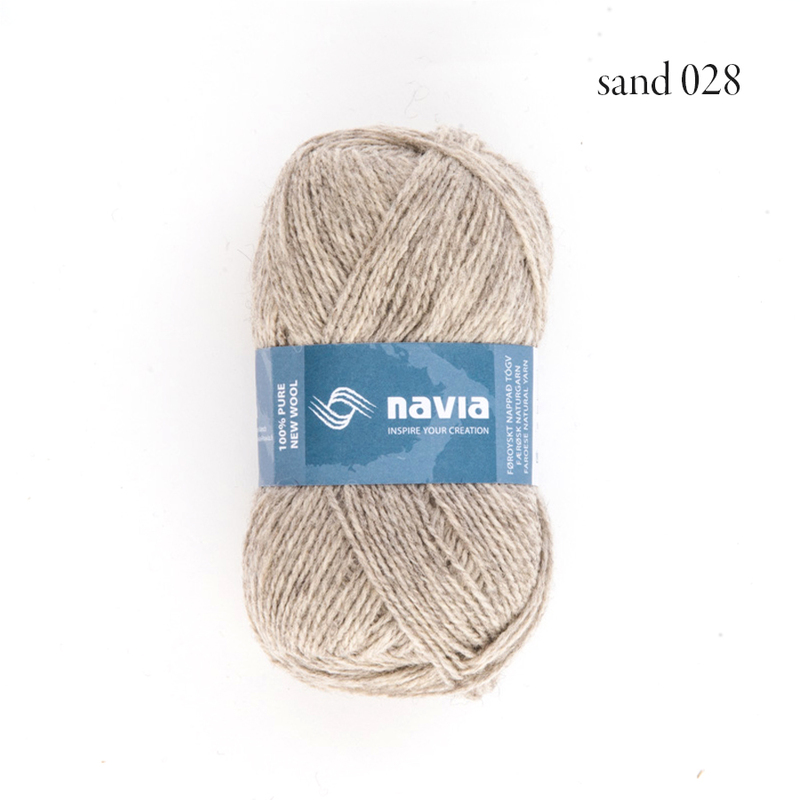 The pattern is available as a PDF download from Faroe Knit in English and Danish. Click here to purchase a PDF of the pattern. Of course, I soon realized that the hat pattern was based on a sweater pattern for babies and kids, and the wheels really started turning. Imagine all the kids in matching sweaters and hats for a holiday photo! There just aren’t enough hours in the day. I haven’t yet knit much with Navia Duo, but Meghan has finished a colorwork hat for some of her holiday knitting and the yarn feels incredible. 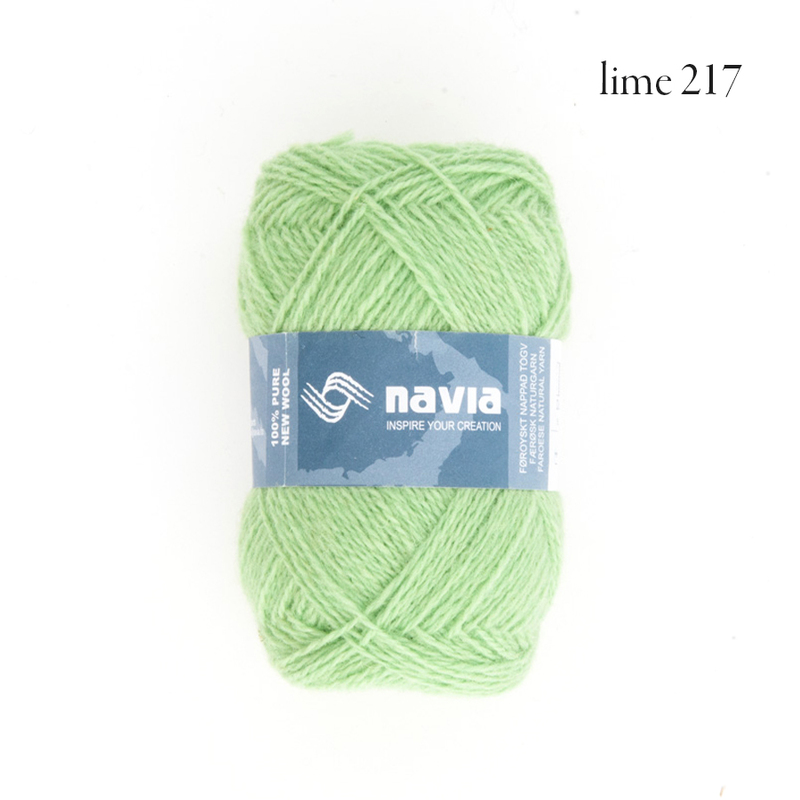 It’s surprisingly soft when washed, but sturdy enough to feel like real Yarn-with-a-capital-Y. Of course red and white are a classic combo, but there are nearly 30 colors of Duo — enough to please even the most discerning child. 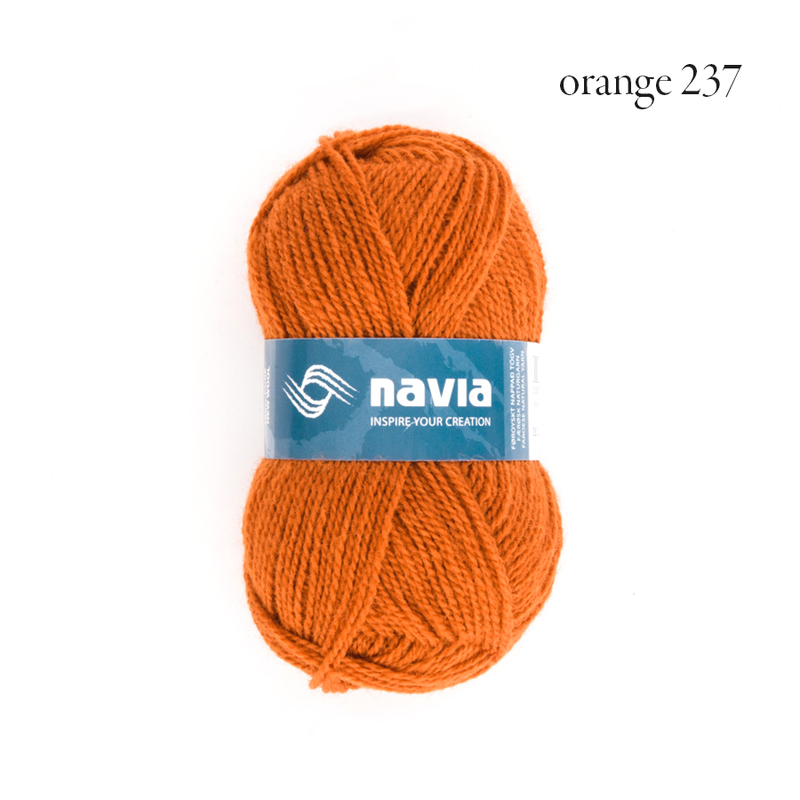 You can now purchase Navia Duo from our wonderful stockists — Webs in Northampton, MA; Elegant Ewe in Concord, NH; and Handknit Yarn Studio in Hamilton, Ontario are all brand new Navia retailers. 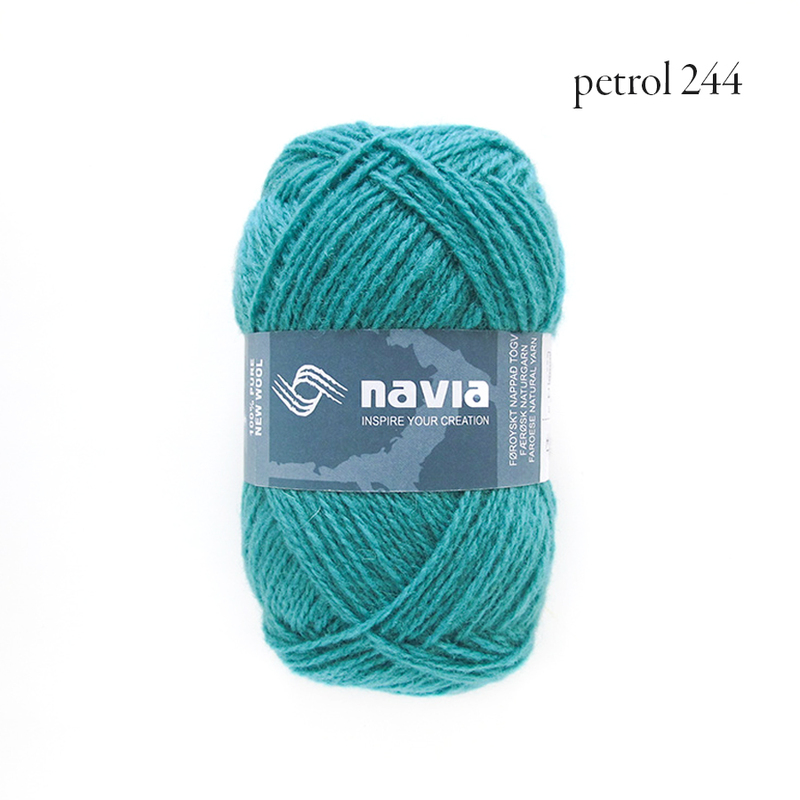 Are you a shop who is interested in carrying Navia, or any of our products, in your shop? Contact us!